CooksRecipes has quality, kitchen-tested recipes for Southern chicken dishes that you can count on for successful deliciousness. 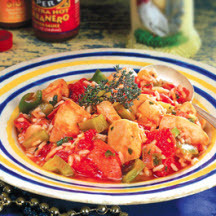 Jambalaya, the comforting soul food of Louisianians! There are as many versions of this tasty dish as there are Louisiana cooks. 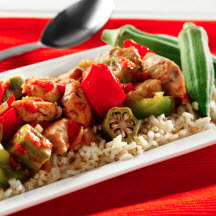 This Cajun-inspired dish makes a great one-dish meal. It's packed with tons of flavor, fast to make, and even faster to clean up with only one skillet required. 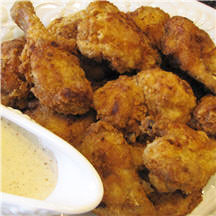 Golden, crispy fried chicken served with a milk-based gravy made from the pan drippings.